George Raft, Orson Welles, Marlene Dietrich, W.C. Fields, Arthur Rubenstein and The Andrews Sisters all in the same film? It happened. Raft stars as vaudeville clown turned Hollywood musical star Tony West who takes it upon himself to organise entertainment for serving US troops following the bombing of Pearl Harbour by the Japanese. Alienating his pregnant wife and co-star (Vera Zorvina) in the process, West tours the country's army camps with such luminaries as Welles, Dietrich, Fields, Rubinstein, Joan Blondell, Dinah Shore, Sophie Tucker, Carmen Amaya, Andy Devine, Nigel Bruce, Donald O'Connor and Peggy Ryan plus band leaders Louis Jordan, Freddie Slack and Charlie Spivak and a good time is had by all. Welles and Dietrich's magic turn is a definite highlight of this back-slapping Universal variety ensemble, but so is Fields' boozy pool routine (an echo from 1934's Six Of A Kind) and Jordan's lovely rendition of 'Is You Is Or Is You Ain't My Baby?' for an audience of black servicemen from the back of a flatbed truck in the rain. The cruel-looking Raft can certainly bust a move when he wants to and makes for a determined lead in this worthiest of patriotic tribute films but the narrative about his neglected home life, which is used to tie everything together, seems oddly overdone. The decision to kill him off at the end when a Japanese sub torpedoes a navy carrier with the Andrews Sisters on board in mid-song is a particularly heavy-handed touch. We get it. The guy's a hero. All the stars who gave up their time acted commendably (though in publicity terms, it has to be said, they had little choice) but somehow you can't help feeling that the soldiers themselves are being forgotten here amidst all the self-congratulation. There are no real characters among the men and women in uniform and no alternative voice. As such, Follow The Boys from director Eddie Sutherland and producer Charles K. Feldman stands as an uncomplicated record of this peculiar footnote to showbiz history. It's unabashed propaganda but none the less interesting for that. 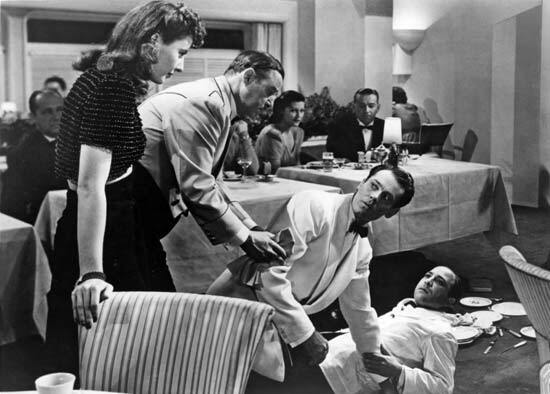 Henry Fonda's clumsy snake-spotter and brewery heir Charles "Hopsie" Pike falls for Barbara Stanwyck's manipulative card sharp Jean Harrington (taking out a waiter in the process) aboard an ocean liner from South America in Preston Sturges' excellent screwball comedy. Rather like Cary Grant's Dr. Huxley in Bringing Up Baby (1938), Pike is a bookish, retiring academic type caught up in the affairs of a female whirlwind, this time the manipulative Harrington, in league with her professional gambler father (Charles Coburn) to swindle the rich and stupid at the card table, who accidentally finds herself in love with Charles for real. However, when he uncovers the truth about her choice of career, the befuddled ophiologist storms home to his family's country retreat in Connecticut, heartbroken. She follows him, angered by the snub, posing as a member of the English aristocracy named Lady Eve Sidwich and eventually marries poor, confused Charlie after convincing him that she is in fact Jean's twin. Here's a very fine moment early on in which the seduction truly begins. Stanwyck is sensational throughout and again uses her shapely ankles to entrap a man, just as she would in Double Indemnity (1944). Fonda's naive Adam is here rendered entirely helpless and would almost certainly say yes to any suggestion she'd care to make, prohibited apples or otherwise. Paramount's The Lady Eve was based on a short story by Monckton Hoffe entitled 'Two Bad Hats', which was very nearly its title and Joel McCrea, Fred MacMurray, Madeleine Carroll and Paulette Goddard were all slated to star at various stages of pre-production. 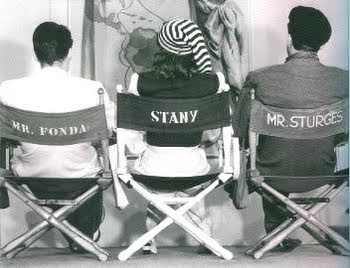 As delightful as those performers are, Fonda and Stanwyck make for a strong pairing and, as is so often the case with Sturges, the supporting cast are a real highlight. The director had an extraordinary gift for finding the right people and giving them funny things to do, like having the oinking Eugene Palette sing and clang steel cloches together as he becomes increasingly impatient for his overdue breakfast. Or having William Demarest as Pike's suspicious minder Ambrose "Muggsy" Murgatroyd creep past the dining room windows spying on Lady Eve in silhouette before tumbling head first into a flowerbed. Or having Fred and Ginger regular Eric Blore dressed up like The Penguin, complete with monocle and top hat, roaming the country club set posing as a knight of the realm in deliciously villainous style. 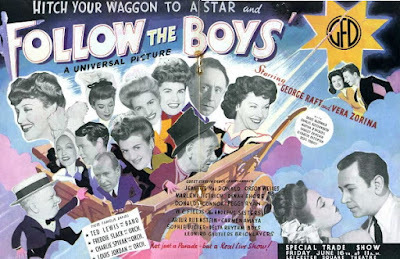 You can see why the Coen Brothers admire Sturges so much. His slogan for Pike's Ale ("The Ale That Won For Yale") could have come from the same marketing department that cooked up Dapper Dan's pomade. Taking its title and loose gist from William Hogarth's satirical series of paintings A Rake's Progress (1732-35)*, which chronicle a young novice's rise and fall from worldly innocence to corrupt experience, this was the first of the Boulting Brothers' own string of questioning comedies, a lampoon of the British military based on a novel by Alan Hackney. Private's Progress proved hugely popular upon its release, revealing an enduring taste for wartime capers among UK audiences a full decade after hostilities had ceased. 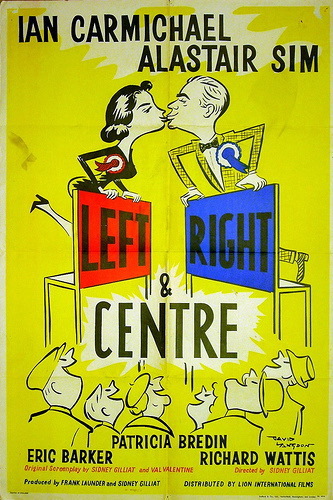 As with its follow-up Brothers In Law (1957), the period's favourite everyman Ian Carmichael stars as a bumbling naif called into an unfamiliar environment and caught out by its peculiar rules and disciplines, making a right old hash of things until he is taken under the wing of a waggish Richard Attenborough. Here, Carmichael's Stanley Windrush is a conscripted undergraduate from an eccentric but well-to-do background appalled by the poor food and hard physical routines of barracks life and demoted to private after failing an officer's exam. Posted to a holding unit, Windrush is suddenly called up to serve under his uncle as part of a top secret assignment known only as "Hat Rack", a job for which he seems suspiciously under-qualified. 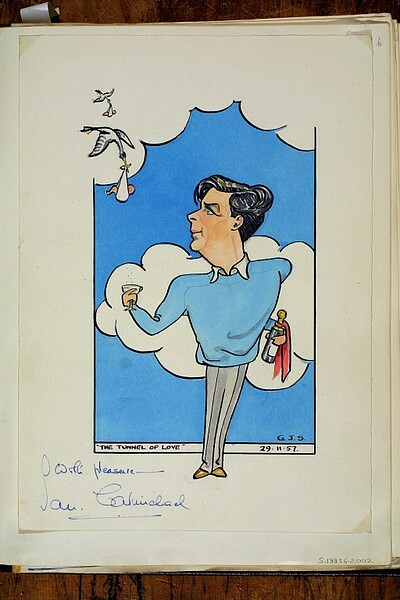 Carmichael is good value as ever and does particularly well playing roaring drunk (as he would in the Boultings' later Lucky Jim, 1957), memorably cheeking a sentry after a night out on the town and giving his name as "Picklepuss" before falling over, laughing hysterically and stealing the latter's whistle. There's also a priceless look on the lad's face when he realises that he's lost his shorts wriggling under a tarpaulin sheet during a training exercise. 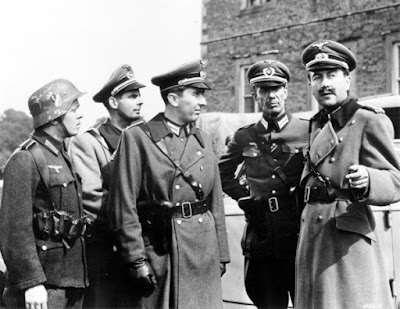 However, in an all-star cast featuring such stalwarts as Peter Jones, Miles Malleson, Jill Adams, John Le Mesurier, Ian Bannen, Kenneth Griffith and even a young Christopher Lee playing a Nazi officer, two performances stand out. 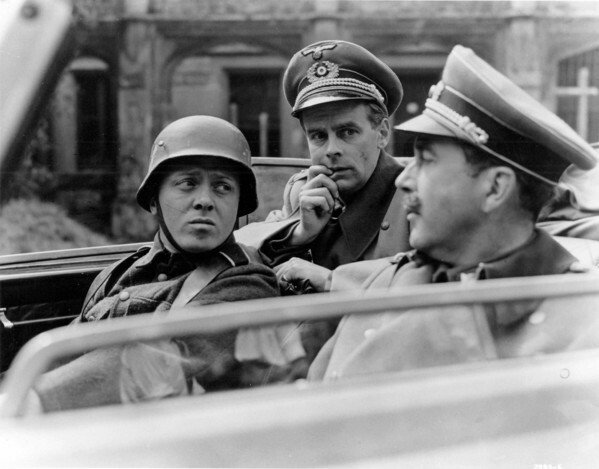 Dennis Price, for one, is a delight as scheming Brigadier Bertram Tracepurcel, hoping to profit from the war by leading an outrageous undercover mission to Germany to recover stolen art treasures before faking his own death and fleeing to South America with a healthy stash of loot and the delectable Adams on his arm. For me, this probably stands as Price's best role after Kinds Hearts & Coronets (1949), which is high praise indeed. The second real corker is, of course, Terry-Thomas in his breakthrough part as the really rather sympathetic Major Hitchcock, a scream in the scene in which he bunks off to the local cinema to watch Noël Coward's stirring naval drama In Which We Serve (1942) only to find that the entire audience is comprised of his own men who are supposed to be out on manoeuvres: "You're all absolute showers!" The Boultings would reunite many of the key players here to reprise their characters for a sort-of sequel three years later, the trade union satire I'm All Right Jack, which would also give Peter Sellers one of his best-known roles. On the downside, the success of Private's Progress may also have inspired Carry On Sergeant (1958), both of which featured William Hartnell as a no-nonsense CO, and thus unleashed a truly lamentable series of craptacular comedies on an unsuspecting public. You can't win 'em all. *Another key British comedy of the period, 1960's School For Scoundrels, which again featured Carmichael and Thomas, would also rework the title of an eighteenth century cultural landmark, Richard Brinsely Sheridan's comic play The School For Scandal (1777).